With its long linear wood boards on the floors, walls, and ceilings; its linear windows; and its linear light fixtures, you’d think this home would feel, well, too linear! But it doesn’t. It feels sophisticated, chic, warm, welcoming, stylish, and a whole bunch of other adjectives with positive attributes. We love it, and if it weren’t so darn far away we’d probably go there tonight and try and peek in the windows. You’re right, that’s creepy. Let’s just admire the photos below. 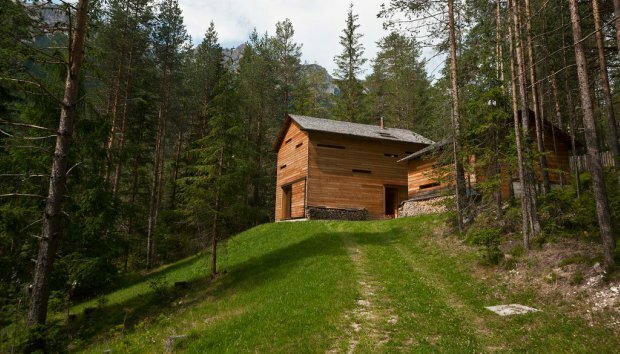 Designed by EM2 Architekten, this small mountain cabin is set in the region San Vigilio di Marebbe in Italy. 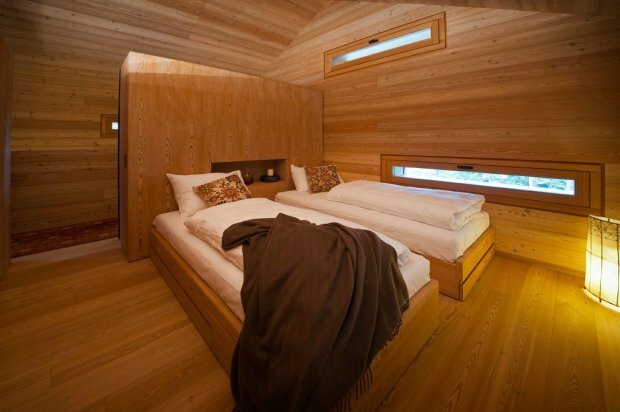 The cabin, named Jagdhaus Tamers, features a wall which can be “opened up” to reveal a large floor-to-ceiling window that almost spans the width of the building. 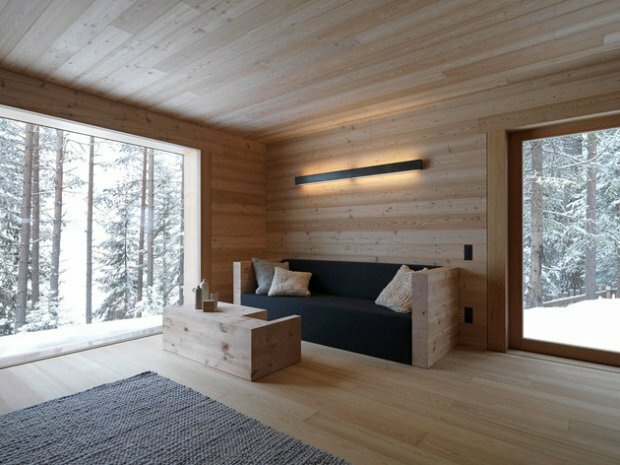 The cabin features a number of much smaller slit-like windows that frame different views of the stunning landscape. 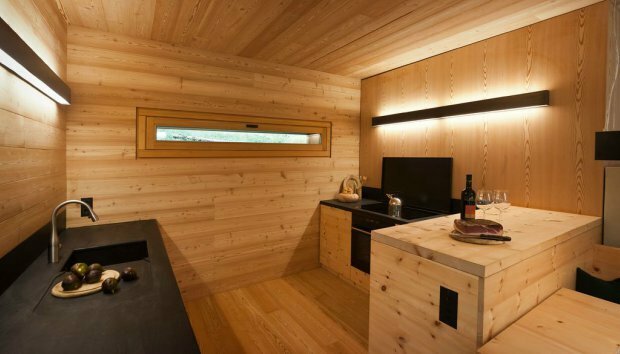 The cabin has been built in a forest that contains a wide variety of wildlife, and the large glass wall provides the perfect viewing platform. 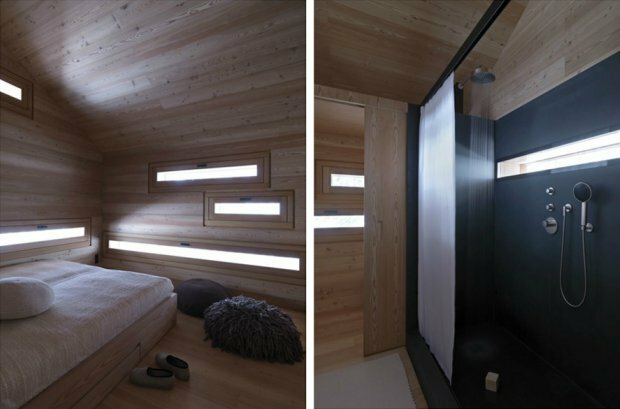 The interior is clad completely in a light wood, from the floors, walls and ceilings, to the actual furniture pieces. Textures are used to break up the otherwise uniformly finished living spaces. 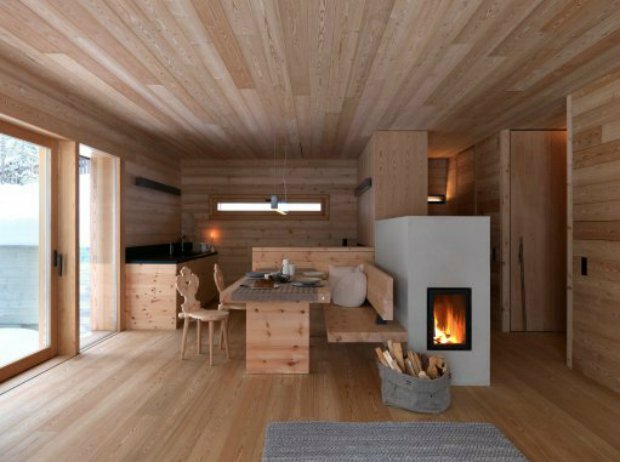 The cabin is heated by a modern wood-burning stove, that’s placed between the kitchen/dining area and the living room. The second floor contains the bedrooms and bathroom. 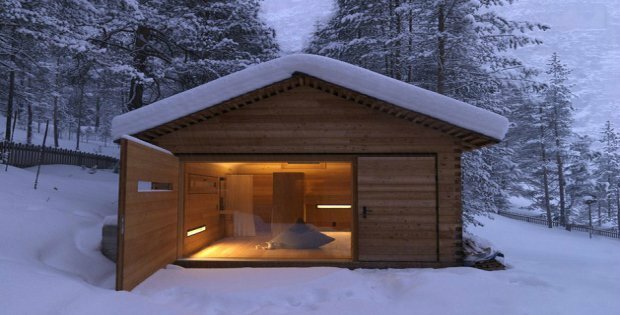 WANT TO SEE ANOTHER CHIC CABIN?